We are also an inbound marketing agency focused on Content Strategy and Development. 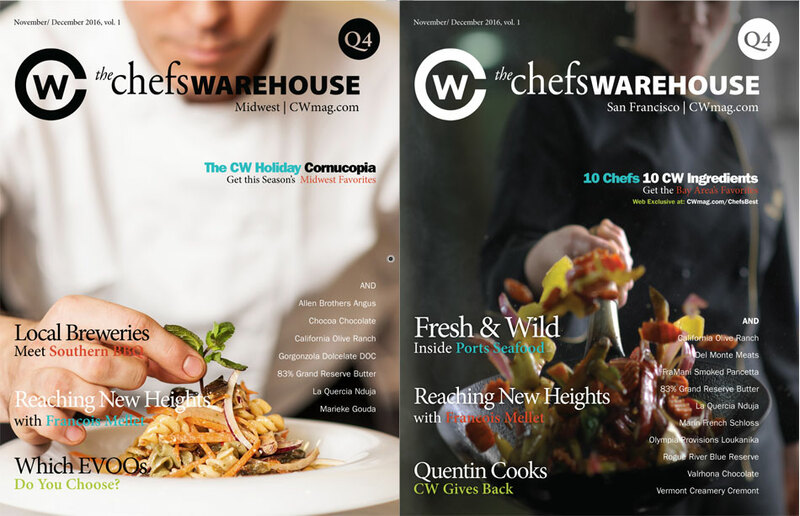 We proudly launch our latest: The Chefs’ Warehouse Magazine, a new B2B quarterly supporting CW’s (NASDAQ: CHEF) San Francisco and Midwest territories. The Chefs’ Warehouse is the nation’s premier specialty food broadline distributor offering the best Chefs of North America ‘the best’ in gourmet foods, from soup to nuts (with plenty of seafood, meats, oils, vinegars, and chocolate). This is Kelli Colaco’s (our West Coast VP) passion project – she’s led this project tremendously. The CW Magazine website launches soon.